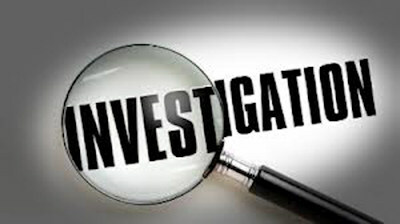 Investigation Services USA Special Services. LLC. - "Just to be Sure"
USA Special Services continues to work closely with law firms, corporate legal departments and Insurance companies. Our Investigators are experienced working on civil and criminal matters. Our Investigators can aid your business in keeping employees and your important information safe and secure. Today, pre-employment screening is a routine practice at many large corporations. A recent study by the Society of Human Resource Managers (SHRM) reported that 80% of HR professionals use pre-employment screening to some degree. The bulk of the work is done by small to mid-sized companies that specialize in the practice. There are a number of larger firms (some publicly traded) that provide services, as well. However, due to advances in technology and the existence of Public Record Retrievers networks, even the smallest pre-employment screening company can provide nationwide coverage. We already see a growing public awareness and acceptance of pre-employment and tenant screening. Although the right to privacy is still cherished, people understand the need to prove their identity and qualifications when it’s for a legitimate purpose. The list of legitimate purposes is also growing. For example, employers are beginning to demand that contractors be screened, in addition to full-time employees. Parents and church groups are beginning to ask that coaches and other volunteers submit to background checks. On the technology side, employers are beginning to build the process into their Information Technology, interfacing their Human Resource systems with those of Pre-employment screening companies. With the trend toward screening becoming the norm, one might expect that legal compliance would become less of an issue. In fact, we can expect it to become even more important, as laws to protect the consumer become more complex and the penalties for abuse to become greater. Employers desire to improve hiring standards, while staying compliant with evolving state and federal laws. Consumers understand the need for safety in the workplace, but, they still value the right to privacy. It’s a delicate balance today, and, it’s sure to become increasingly difficult to maintain in the future. The standards and practices developed by the association, on behalf of its membership, will help employers avoid legal exposure for negligent hiring and decrease violence in the workplace. By conducting pre-employment and tenant screens according to federal and state law, background screening companies will actually be helping the homeland security effort. Last but not least, USA Background Checks intends to improve the productivity of American business by enabling better hiring decisions and lowering the costs associated with employee turnover. 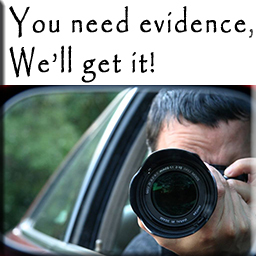 Surveillance is conducted in conjunction with many different types of investigative efforts. 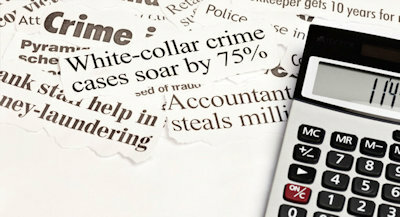 Surveillance rates are based on a number of elements: The amount and type of technical surveillance equipment necessary, and unusual circumstances such as the level of danger involved, number of investigators required, any special investigative or other skills required, rush jobs, severe weather, holidays or special events, and out of the country assignments. Mileage and reasonable expenses are generally charged above the surveillance rates. Surveillance is usually charged per man-hour with a minimum. Some cases may be billed on a flat fee basis. Without a doubt, the most emotional matters that we deal with are Family Investigations. It has been reported that approximately 40-50% of marriages end in divorce. Infidelity plays a large part in this statistic and our methods of obtaining evidence have been invaluable to many of our clients. Some people have “suspicions” or “red flags” that something in their relationship is just not right. 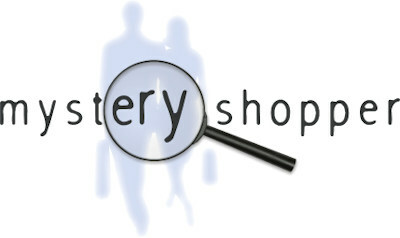 Our experienced investigators will guide you and form an investigative plan to suit your specific needs. Not only does divorce affect a man and a woman, children are often involved. Our child custody investigations are often initiated to ensure that the child is being exposed to a positive and safe environment. Our investigators work diligently to properly document evidence and information that will ultimately lead to the child’s safety and well being. Uncovering problems from the inside with Undercover Corporate Investigations. When your company suspects that something is just not right in the workplace, or if there are concerns with employee behavior, an Undercover Corporate Investigation with USA Special Services can reveal more information than most security systems or CCTVs could ever hope to capture. 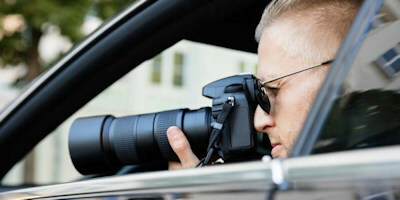 Our undercover security agents are trained to catch nuances, build trust, and develop leads that create a better understanding of the situation or the locale. These covert operatives provide clients with the intelligence they need to address a specific problem, or to determine that concerns were unfounded. USA Special Services delivers timely reports that keep management informed of an investigation’s progress. We also recommend possible courses of action based on the information gathered. We use experienced trained personnel to perform service checks in all types of businesses. Our staff carefully observes and documents the activities of an individual employee or of employees in general. Trained to detect certain types of activity and behavior, even the most subtle of scams can be detected. Service checks are not just for small retail establishments, bars and restaurants. Service checks can be helpful in any type of business from Medical Clinic settings to a major resort. USA Special Services has extensive experience in Document Examination, including anonymous letter and forgery cases. We have testified in numerous trials including kidnapping, arson, murder, voter fraud, embezzlement, forgery and stalking cases. Looks can be deceiving, but handwriting never lies. Handwriting profiling is an amazingly accurate tool for assessing how people think, feel, and act. In fact, handwriting profiling is so accurate that the FBI, the CIA, and the Israeli intelligence agency Mossad use it to build detailed psychological profiles of some of the world's most dangerous individuals. And thousands of major corporations use handwriting profiling to help them make the right hiring decisions. 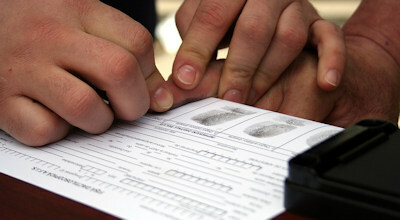 We provide mobile ink fingerprinting services in the city of Pittsburgh area, saving you time, transportation, and money. Ink fingerprint cards may be required for employment, out-of-state licensing, certification, name changes, and security purposes. Many police agencies today no longer provide this service. Counter Electronic Surveillance is highly damaging to your company and reputation. Bugs, miniature cameras and covert recording devices are now easily available to the general public, allowing the easy monitoring of conversations and gaining of still and video imagery. We specialize in Technical Surveillance Countermeasures (TSCM) - counter electronic surveillance - for clients who may be under threat from technical surveillance. The TSCM debugging team utilize the latest advanced professional counter electronic surveillance equipment to test all telephone, fax and modem lines and conduct radio and physical sweeps. 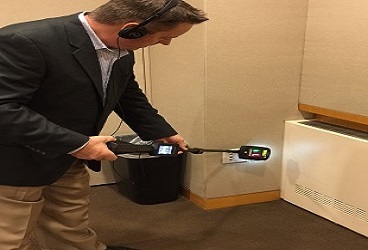 The debugging sweep includes searching and locating infrared, video, burst, encrypted, spread spectrum and frequency hopping transmitters throughout your premises. This covers professional covert bugs together with low quality transmitters that can be purchased by anyone from spy shops or via the Internet. Non Linear Junction Detectors (NLJDs) are used to increase the search quality. They give the debugging team the facility to find dormant transmitters, i.e. remotely-switched bugs, even when they are switched off. Recently added to the extensive equipment was a Thermal Imaging system.